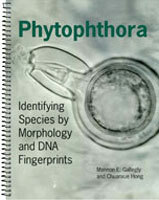 "If you want to identify Phytophthora species, this is your book! Anyone interested in Phytophthora should have this book. It is useful for teaching, laboratory identification and basic research. Congratulations on a lovely and useful book! It is essential for all libraries, agriculture centers, universities, plant pathologists, researchers and extenionists." The genus Phytophthora, known as the “plant destroyer”, is one of the most important group of disease causing organisms. This genus contains the potato blight pathogen, Phytophthora infestans, and the sudden oak death pathogen, Phytophthora ramorum. Currently the latter species is classified as invasive, and a second one, Phytophthora kernoviae, is about to be placed in this category. Intensive surveys for the presence of these new potentially deadly pathogens have been underway and will continue with funding to search for the second invasive species. Whether or not additional new species with potential destructiveness are found, there are older known species which can erupt at any time and severely damage our crop plants. Correctly identifying them to species level is the first critical step in mitigating crop health risk locally and ensuring plant biosecurity globally. 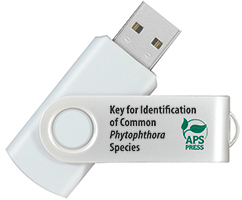 This best-selling identification key, Phytophthora: Identifying Species by Morphology and DNA Fingerprints, enables diagnosticians and regulatory personnel as well as researchers to identify Phytophthora species with speed and confidence. There were only about 50 identified species when the last key was published in 1990, but now that species number is approaching 100. In addition, there have been tremendous efforts in search of a reliable, high-resolution molecular character for rapid identification. This book presents a new key, integrating the classical morphological approach and a new DNA fingerprinting technique called PCR-SSCP. The dichotomous key uses minimal morphological characters, followed by pictorial illustrations. The DNA fingerprint key uses only the rDNA-ITS region amplified with a single pair of primers; a detailed step-by-step fingerprinting protocol is provided. A total of 652 original photos are included to illustrate individual species covered as well as a partial list of other molecular characters used for description of new species and differentiation of existing species in recent years. This book will be an excellent resource for those who are interested in identifying Phytophthora species. 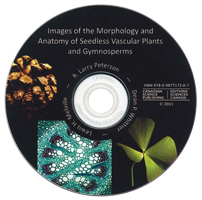 Sixty of the important species and taxons are presented in the book. Also, the framework of the identification keys in the book will readily accept the introduction of additional species as they are studied and described. Integration of classical approach and modern DNA finger printing technology - This enables students, teaches, diagnosticians, and researchers to correctly identify Phytophthora; they can use one method to identify and another to confirm isolate identities. Plus, it allows those who are skilled in DNA fingerprinting techniques to learn the classical approach and visa versa. New dichotomous-like key is presented using minimal morphological characters and the DNA fingerprint key uses only the rDNA-ITS region amplified with a single pair of universal primers - This enables plant health regulatory personnel and diagnosticians to quickly identify Phytophthora species. Pictorial illustrations of morphological characters used in the key and description of individual species - This helps beginners to understand and master essential taxonomic terms and diagnostic characters of individual species. It will also bring them up to speed in their new research and diagnostic service positions. Step by step procedures are provided for all methods used in development of both keys - This allows key users to easily become adept in species identification. Provides a PCR-SSCP fingerprint key along with the protocol of how to use it - This DNA fingerprint technique is quicker and can be used as a confirmation of the morphological identification. Diagnosticians and beginning students can easily become proficient using this method with the straightforward protocol. Mannon Gallegly has nearly 60 years of experience researching the taxonomy of this important genus. He began his studies of Phytophthora infestans in 1950 and over the years gradually expanded his studies to include other species. He continues these studies as an Emeritus Professor at West Virginia University emphasizing classical morphology. Chuanxue Hong began his studies of Phytophthora in 1999, and has since made this genus the central theme of his research program with molecular diagnostics as a major focus. His laboratory developed the PCR-SSCP fingerprint procedure which has empowered his other research and diagnostic service including SOD surveys at ornamental nurseries, surrounding forests and waterways.